While it's notoriously tough for enterprises to find skilled developers for mobile and data science initiatives, a new report from Canonical indicates a skills gap is also affecting recruitment for the growing Internet of Things (IoT) space. "Businesses are struggling to recruit employees with the skills needed to make the Internet of Things a success," said Canonical -- the maker of Ubuntu Core IoT OS -- in announcing its new "Defining IoT Business Models" report (free PDF upon providing registration info). The London-based Ubuntu Linux specialist conducted a survey to determine how IoT can be monetized and what skills are required for that, along with exploring fundamental security concerns. On the skills side of things, the hardest-to-find skill set is Big Data and analytics expertise, "a skill critical to gathering, analyzing, and potentially monetizing the vast amounts of data produced by IoT devices." That was reported by 35 percent of respondents to the survey, who included 361 IoT professionals. The Big Data/analytics category was closely followed by embedded software development, embedded electronics, IT security and artificial intelligence. 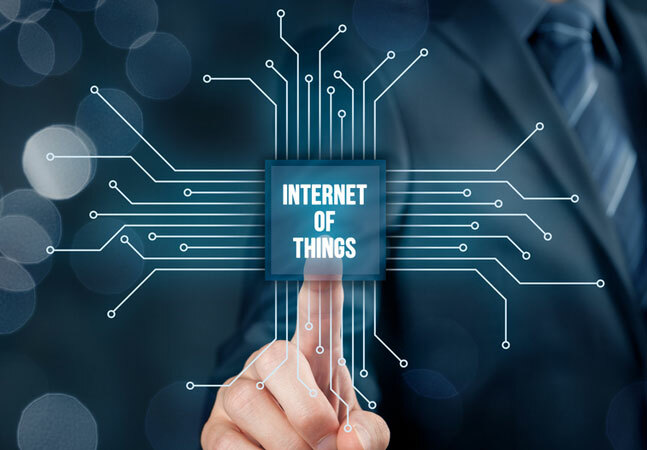 "The sheer scale and scope of IoT means there is a plethora of skills that could be required depending on the project or projects within an organization," the report said. "The requirements for these may vary and evolve over time, meaning that organizations need teams who are multi-functional and thus generalists by nature but also cover a number of specialisms across the entire software stack from low level embedded code to machine learning capabilities in the cloud. Inevitably some of these skills will be commonplace already but IoT will also increase the need for skills that weren't previously required." In addition to identifying the hardest-to-find skills, the survey also asked the complementary question of what skills were most needed. "When asked what skills they deemed necessary to be an IoT expert, after data analytics (at 75 percent) software development skills were found to be the most needed skill (according to 71 percent of IoT professionals)," the survey said. "In one sense this is surprising, as embedded development is by no means a new discipline. But when considering the fact that hardware is rapidly commoditizing, with monetization and differentiation increasingly coming from software, it is natural that businesses invest in building up their embedded software development capabilities. Unfortunately, 33 percent are struggling to hire employees with this particular skillset." 53 percent of respondents believe that quantifying ROI and providing a clear use case is their most immediate challenge in adopting IoT. 57 percent believe the security of IoT devices should be a joint responsibility. 55 percent of IoT professionals see their profits coming from the sale of hardware. Two out of the top three worries around the current state of IoT related to security, with lack of agreed security standards (67 percent) and poor security (54 percent) being the primary concerns. More than 50 percent of IoT devices are unsecure, believe the majority of IoT professionals asked. 57 percent of IoT professionals support the standardization of IoT software/infrastructure as a means of ensuring better IoT security. Canonical exec Mike Bell commented on the findings in a news release. "When it comes to the Internet of Things, the business community is still overcoming a significant skills gap," Bell said. "Many businesses are concerned by their own lack of knowledge and skills within the IoT market and many business leaders are finding themselves running head first into a set of technology and business challenges that they do not yet fully understand. "Above all, businesses must be agile when it comes to deciding on the 'right' people, skills and team to take them forward. What is decided upon today, is unlikely to remain the same in even one or two years, so constantly evaluating what change is needed and being able to execute this quickly is a must." The survey, commissioned to industry publication IoTNow, polled 361 people from that publication's database of registered IoT professionals.